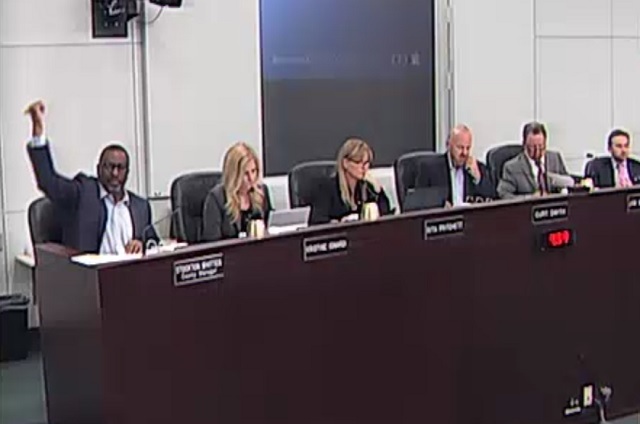 BREVARD COUNTY, Florida - Brevard County residents will have an opportunity to voice their opinions on who should become the top County Manager overseeing an annual budget of around $1 billion. An executive search firm tasked with helping the Brevard County Board of County Commissioners recruit a County Manager is seeking public input at a meeting to be held from 5 to 7 p.m. on Thursday, April 20, 2-17, in the Commission Chambers, Building C, first floor, of the Brevard County Government Center located at 2725 Judge Fran Jamieson Way in Viera, Florida. County Manager Stockton Whitten (far left in above photo) announced in early February he had accepted a position with Eastern Florida State College. His resignation is effective April 30. Whitten has worked in county government 26 years, including 22 years in administrative positions with Brevard County Government. He has been county manager since 2014. The executive search firm, The Mercer Group, is making this opportunity available for the public to provide input on the recruitment of the next Brevard County Manager.